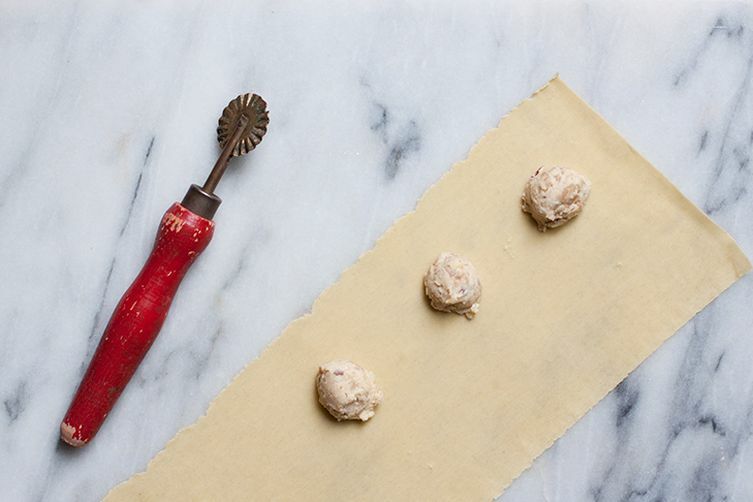 A filling, cheap, and very versatile winter ingredient, chestnuts have been a staple of Tuscany's peasant cuisine for centuries. 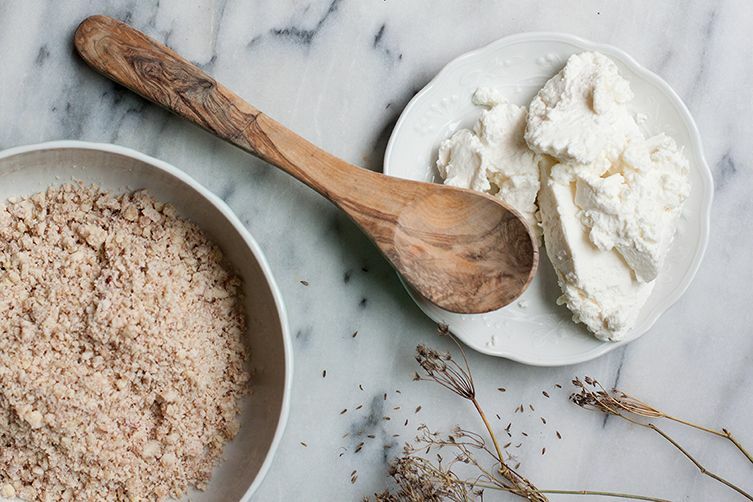 They can be found fresh, dried, or in flour form, and are used often for stuffing roast meat or poultry or for making desserts like castagnaccio. And of course, they're also enjoyed all on their own, boiled or roasted over a fire, and then dipped in red wine as an end to a winter dinner. 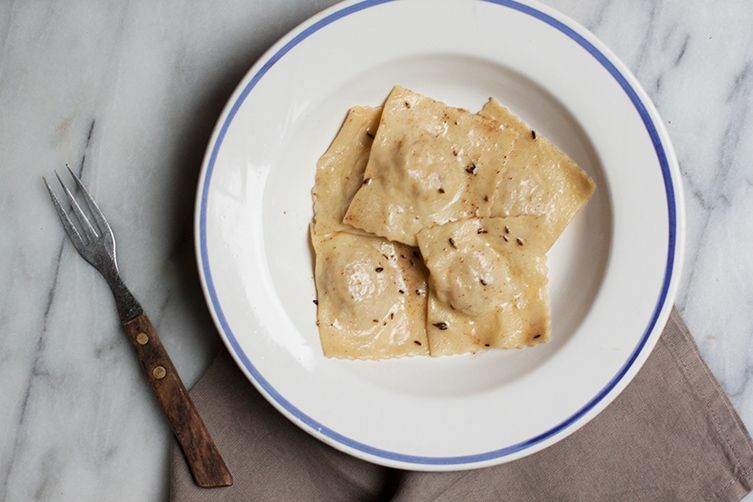 This ravioli recipe comes from southern Tuscany's Maremma area, where chestnuts are commonly found in the heavily wooded hills and is inspired by the restaurant I Due Cippi in Saturnia. There, the ravioli is filled solely with boiled and mashed chestnuts flavored with fennel seeds and cinnamon. To my version, I've added ricotta to lighten up this earthy pasta dish and dressed it in a simple sauce of butter and wild fennel seeds. 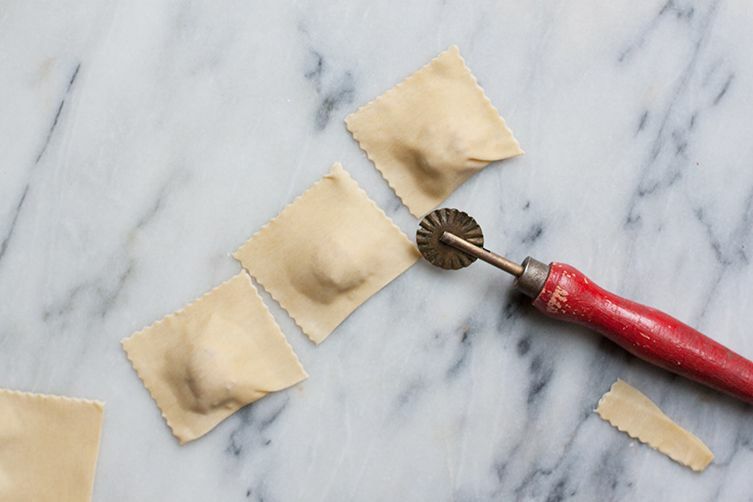 Because when you have to go to the effort to make fresh ravioli, a simple dressing is all you need. As chestnuts are naturally quite sweet, you can be heavy-handed on the Parmesan; you may even like to add some crisp, fried bits of pancetta to garnish the dish and add a pop of savoriness. If you're not a fan of fennel seeds, replace them in the sauce with the very classic sage and simply omit them from the filling. Congratulations on your book publication! I hope it will be in the Food52 shop. Have you ever read The Lost Ravioli Recipe of Hoboken? It is such a wonderful story about immigration as well as travel and cooking. Makes me long to visit Liguria. There is a chapter with chestnut flour in it, grown on a remote farm.